Do you feel like you are drowning in debt with no real solution? I ignored my student loan debt during the first couple of years which I regret. That doesn’t mean all hope is lost though. There are a couple of steps you can take to help you out of that hole. 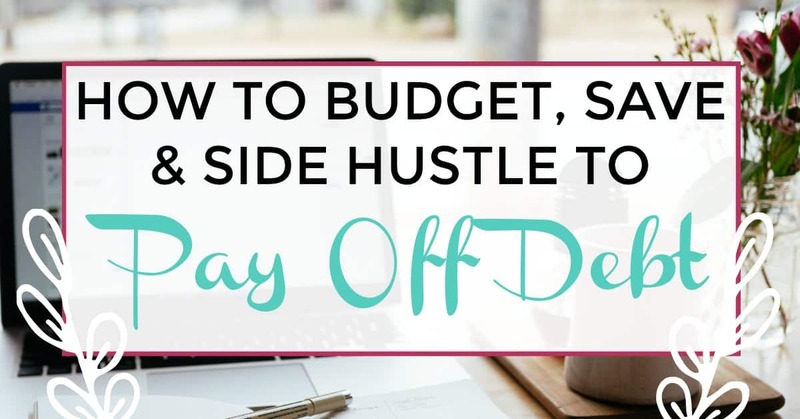 Clear your mind, create a budget, save and (my personal favorite) side hustle to pay off debt. Read on to learn how one couple managed a $10,000 debt payoff. This is a guest post by Brittany Dickey. Brittany just recently launched her own blog, The State of Awake, where she documents her family’s debt payoff journey and also shares her experiences with financial management, frugality, and money making strategies. You can connect with her through Email, Pinterest, or Instagram. I’m Brittany from The State of Awake! I’m an insurance saleswoman by day, blogger by night, personal finance obsessed 24/7. I Iive in exciting Delaware…ok maybe not that exciting but we live near good friends, good beaches, and good beer (Hello Dogfish fans!). I’m excited to join Daniella on her rockin’ website to share some debt payoff strategies! So my husband and I got married with a combined total of $43,000 of credit card and student debt. On top of that, we were reckless spenders and had no clue how to manage money. Thankfully and right in the nick of time, some great friends invited us to take Dave Ramsey’s Financial Peace University about a year ago. It was like a lightning bolt struck us! We realized the poor shape we were in and eagerly started getting serious about financial adulting. Ever since, we have been crazily trying to take down our massive debt. 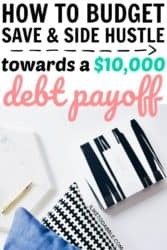 In a little over a year we managed a $10,000 debt payoff! The very first step that I had to take when becoming financially literate was setting up a budget. This helped us to start being mindful of where our money was actually going. When we looked at our spending accounts, it was really embarrassing to see how wasteful we were in our spending. Something that I recommend to everyone is to add up everything that you’ve spent over the past month and check how it compares to what you get paid each month. For us, we saw that we were actually spending more than we were bringing in. Yikes! We started a budget and got serious about wisely saving and spending. A budget is your greatest asset. It is the foundation of a successful financial future. A budget tells your money where it’s going and how it is going to work for you. Daniella has a great budgeting worksheet that you can download now to get started with taking this first crucial step! Now for the first few months of our debt payoff journey, my husband and I were both making extremely small salaries. I remember staring at my bank account one day trying to find any extra money that I could put towards our debt that month. It was super discouraging; I felt like the future was a bleak tunnel of struggle. We quickly realized that if we didn’t want to be debt for decades down the road, we had to do something to speed up the process! We searched for better jobs and side hustled our booties off. Believe me, we’ve tried EVERYTHING. A couple of things we did include downsizing to a cheaper home, flipping items on eBay, pet sitting, doing online surveys—Mark even became a wedding DJ for a while there! We wanted cash badly and were willing to put in the work! Lo and behold, we were able to take down our first student loan by hustling like this, even with our super small incomes! It’s possible, friends. Finally, we committed to frugal living. A lot of people incorrectly think that frugality means living broke. That’s not quite the case. Really it means choosing to be wise with money and not wasting it on things that aren’t worthwhile. Instead of going for the new car, buy a used car that doesn’t come with a monthly payment. Instead of going out for dinner again, make a home cooked meal. Instead of buying fancy coffee everyday, try making brewed coffee at home with flavored creamer. I would rather put my hard earned cash towards a nice vacation or a house with a financially free future instead of giving it all to Starbucks. Fast forward just one year and we have paid off over $10,000 of debt! We are both working much better paying jobs. And we’re still working the side hustles like there’s no tomorrow. Now we’re putting about $1,000 per month towards our debt, beyond the minimum payments! The future looks much friendlier now that we’ve cut years off of the life of our loans. 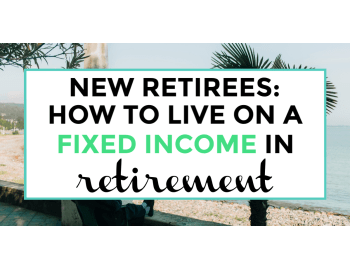 Because of our experience, I’m a big believer that increasing your income while trimming your budget is the absolute BEST way to get your finances—especially debt—under control. 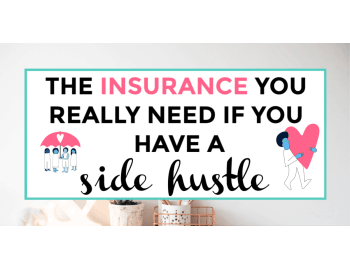 Check out Daniella’s awesome list of side hustles here for if you’re ready to start looking! If you are willing to take the steps towards becoming financially wise and learn wisdom from others, you WILL see great results. I hope you experience victory over your bank accounts and see joy when you look to the future!